The Canaveral Port Authority and Carnival Cruise Line officially broke ground for construction of Port Canaveral’s new Cruise Terminal 3 complex on Monday. 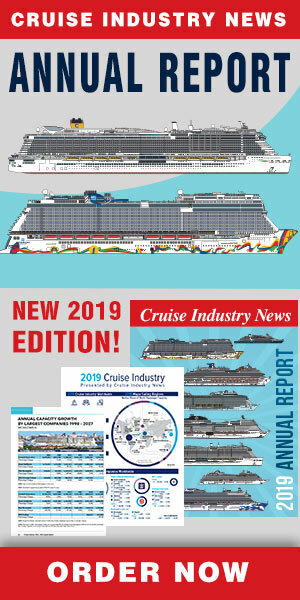 The new terminal, dubbed the Launch Pad, will be the home of Mardi Gras, the cruise line’s new LNG-powered ship. The event theme, “Go for Launch,” was a nod to the Port’s key role with the U.S. space program and the terminal’s futuristic design, which was inspired by nearby Kennedy Space Center. The $163 million terminal project – the largest in the Port’s 65-year history – is scheduled for completion in May 2020 and will be ready for the arrival of Mardi Gras to her year-round Port Canaveral homeport in October 2020, according to a statement. Port Canaveral and Carnival Cruise Line executives held a “pre-launch mission” news conference complete with a mock countdown, then grabbed shovels on the terminal construction site for the ceremonial first dig to officially kick off construction. Participants included Wayne Justice, Canaveral Port Authority Commissioner; Christine Duffy, President, Carnival Cruise Line; Capt. John Murray, Port Canaveral CEO; Micah Loyd, Canaveral Port Authority Commission Chairman; Jerry Allender, Canaveral Port Authority Commissioner; Rocky Johnson, Vice President, Ivey’s Construction Inc.; and Scott Bakos, Partner with Bermello Ajamil & Partners Inc., a Miami firm providing architecture and engineering design work for the project. After a special eight-day cruise to the Caribbean on Oct. 16, 2020, Mardi Gras will commence year-round seven-day cruises on Oct. 24, 2020, alternating weekly to the Eastern and Western Caribbean. Eastern voyages will take Mardi Gras to San Juan, Puerto Rico, Amber Cove, Dominican Republic, and Grand Turk in the Turks and Caicos, while Western sailings will travel to Cozumel and Costa Maya, Mexico, and Mahogany Bay (Isla Roatan), Honduras.